Over 2,100 people have died in the devastating earthquakes and tsunami that hit the Indonesia on 28 September. A 7.4 magnitude earthquake caused a tsunami to sweep into the city of Palu with waves of up to six metres tall. 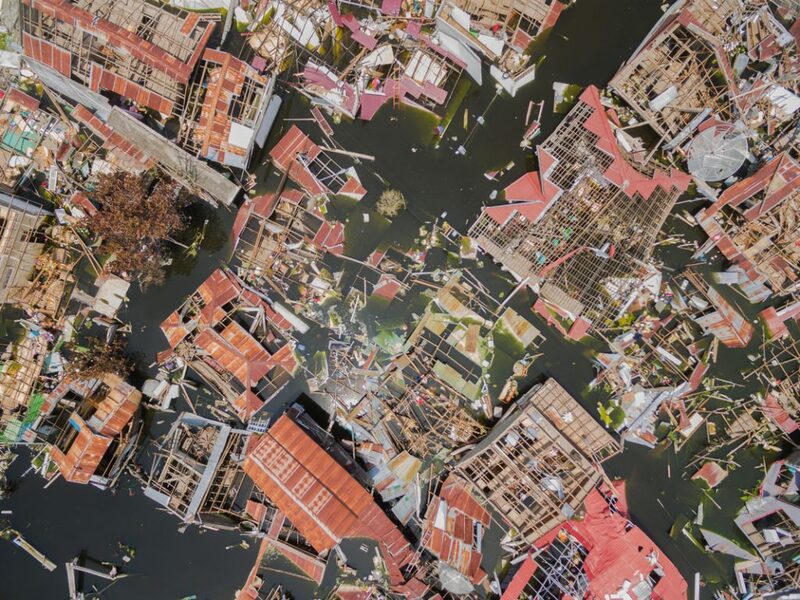 Homes and entire communities have been destroyed, 1.5 million people have been affected and hundreds of thousands of survivors are still in urgent need of food, water and shelter. ActionAid and its local partners are bringing essential supplies to those who have lost everything and are without power, water or shelter. We’ve reached the most affected areas, bringing temporary shelter, electricity generators and solar lamps. We are also distributing water, blankets and nappies for people in urgent need. Liquefaction is the grim process by which the force of an earthquake churns soil into liquid – swallowing whole buildings, homes and people. In Indonesia, whole villages have been swallowed up by the earth. Please give whatever you can to our Earthquake Emergency Appeal today, your donation will help to save more lives and help survivors rebuild their lives. ActionAid’s unique approach is to empower local women to lead the response in an emergency. Women are often the first responders to a crisis, bringing vital skills, resources and experience. ActionAid supports women to take the lead in all aspects of their lives, including in disasters. At this point, the immediate needs of the survivors are still paramount – providing people with a place to sleep, clean water, food, and essential items like sanitary kits for women and girls. 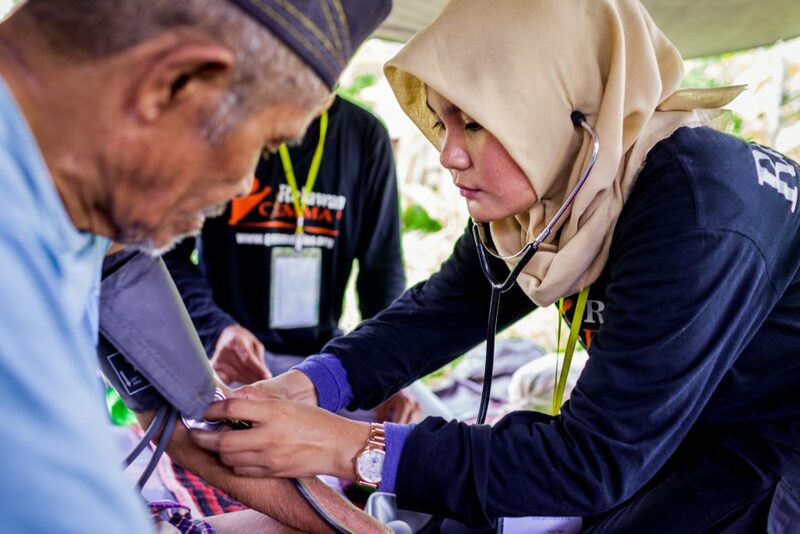 Volunteer women such as Dewi (pictured left), one of several female medical volunteers, checking the blood pressure of Syamsul (75) who isn’t able to walk. Syamsul is one of 1,500 people residing at a coconut farm turned into a shelter in Langaoge after the tsunami wiped out their village. Other women volunteers such as Lian Gogali (pictured right), an amazing woman who is running a kitchen with the help of ActionAid and a wider coalition. The kitchen has been producing nearly 5,000 meals a day, it has allowed Lian and other women to bring their vital skills, resources and experience to the recovery effort. That’s why we’ve encouraged survivors, many of whom are volunteering to support the relief effort, to start thinking about the future. 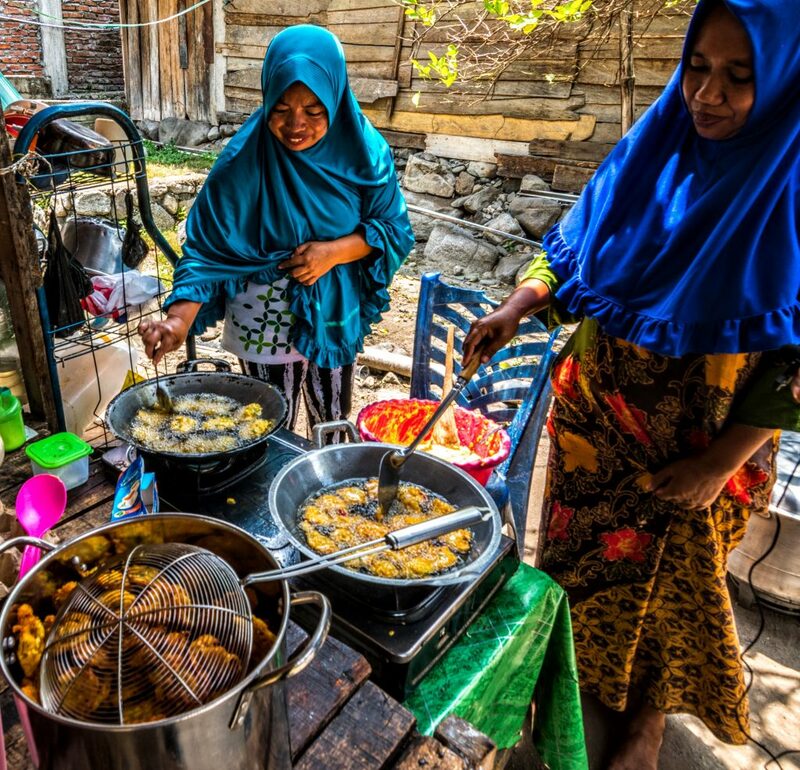 With our local partners on the ground we plan to set up three Women Friendly Spaces – one each in Donggala, Palu and Sigi. It is estimated that 350,000 women are at increased risk of sexual and gender-based violence. A Women Friendly Space is somewhere that women can come together to discuss issues, receive peer support, and fight violence against women. They are able to advocate for their own needs. Please donate today and help the survivors be safe and rebuild.